Occasionally, professional musicians can lose sight of why they started down the music business road, but with students, they are always so hungry to learn and eager to succeed and express their passion and love for the art form. Katie McGuinness is a pianist who now lives in Pittsburgh, USA, where she is the Executive Assistant to the Senior Vice President of Artistic Planning and Audience Engagement for the Pittsburgh Symphony Orchestra. He role is focused on future artistic planning, guest artist invitations and negotiations. Katie had known from early on in her education that this was the area of work she wanted to be involved in. While pursuing her doctoral studies in Piano performance at the Royal Irish Academy of Music, she spent two summers working for the Aspen Music Festival in Colorado as a schedule coordinator and orchestra manager. In 2011 she went to work for Harrison Parrott Artist Management in London. 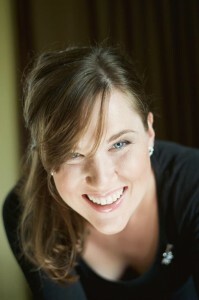 She has also spent time working for the Dublin International Piano Competition and the Dublin Master Classes Festival. On the best thing about the Festival of Youth Orchestras...The staff! They are absolutely amazing and so devoted to such an inspiring festival. It is really such a special day and something that Ireland should be very proud of. How did you become involved with youth orchestras and the festival? In 2007, James Cavanagh from the Royal Irish Academy of Music suggested my name to Allin Gray as a potential volunteer for the festival. At that time, I was pursuing my doctoral studies in piano performance, but was very keen on exploring the world of arts management and this was a perfect opportunity to experience that side of the business in a friendly and welcoming environment. It was such a fantastic experience for me, and although the day is very long and stressful, I was on a high the entire time! Can you remember the first time you played at the festival? Although I was primarily a pianist, I also took up the cello as a hobby during my teen years. I was a terrible cellist but it was so nice to be able to join an orchestra and to be part of such a large group, and to make friends with fellow musicians. The first time I participated as a musician in the IAYO festival was during my undergraduate years, with the Royal Irish Academy of Music Symphony Orchestra. It was such a great buzz backstage, and was lovely to meet other musicians from around the country that were also joining the festival for the day. What impact did the National Concert Hall have on you? Was it the first time you had played on such a big stage? This wasn’t the first time I had played on the National Concert Hall stage. When I was very young, I took Suzuki piano lessons with a private piano teacher called Emer Black. She was such a kind and supportive teacher, and I remember being a young girl playing for one of their concerts at the NCH – she had to walk out on stage with me and put a box underneath my feet as my legs were too short to touch the ground or the pedals! I had such a great time that day! But, for the IAYO festival, this was the first time I experienced the hall from an arts management/back stage perspective. The festival has such a wonderful team working for them, and everyone weighs in on every aspect in order to help put out any fires that happen throughout the busy day. However, they are also very lucky to be in an environment where the hall’s own staff is also so willing to help out, and so involved with every show that comes through their doors. That helpful, ‘lend a hand’ environment made such a huge impression on me when I first worked at the National Concert Hall. It is so encouraging to know that you can turn to the staff there and that they will be able to offer help and advice, due to their incredible experience throughout the years. Having spent time abroad and worked for other arts centres, believe me, this is a rare and beautiful gift that the National Concert Hall has. This is certainly something I always try to remember in my day to day work environment here in Pittsburgh. Do you think this prepared you for future performances? It most certainly did. As I mentioned earlier, it was a lovely environment to be in for my first time working on that side of the business. Every year that followed working for the festival, it just got better and better, and I was always learning new things. Something great about the festival is that you do have to learn how to be independent and respond effectively to any situation that comes your way. You have to be proactive and responsive. You have to take initiative. This is an incredibly valuable experience and something that constantly plays a role in our industry. Nothing is predictable and nothing can seem a surprise either. You have to roll with the punches and multi task! Did being part of the festival and youth orchestras in general help the transition to your current career? Yes absolutely. Working for students is such a beautiful thing and really forces you to always keep a clear and open mind. Occasionally, professional musicians can lose sight of why they started down the music business road, but with students, they are always so hungry to learn and eager to succeed and express their passion and love for the art form. This positive attitude then affects the staff that works around them. This was a lovely atmosphere that I always remind myself of and try to implement as I work for a professional orchestra. What part does music play in your life now? What path has your career taken and does music still play a role? I am currently working in the artistic department of the Pittsburgh Symphony Orchestra in the US. It is one of the top ten orchestras in the country, and holds a world class status. The orchestra has made numerous award winning recordings over the years, and almost every season, it tours the US, Europe or Asia. My role in this incredible organisation is to research and book artists, and to assist with programming the 20 classical subscription weekends throughout the season. Along with this, I am also on the committee for the summer programming series, which allows me to book more alternative artists, and to program works that are more light hearted and suited to the fresh summer buzz. Although I do not perform anymore, I feel like music plays an even bigger role in my life now. My time as a student and as a performer helps me in my position every day. It allows me to stand out from some of my other colleagues in the field as sometimes I can turn to that experience and therefore have a better understanding of what our artists need. Working in arts management has forced me to expand my horizons and to be aware of more than just the piano repertoire. I am surrounded by music and musicians every day, so although there are times when I miss the joy of performing, I do love every minute of my active role in the music business now. What was the best thing about being involved in the festival? The staff! They are absolutely amazing and so devoted to such an inspiring festival. It is really such a special day and something that Ireland should be very proud of.